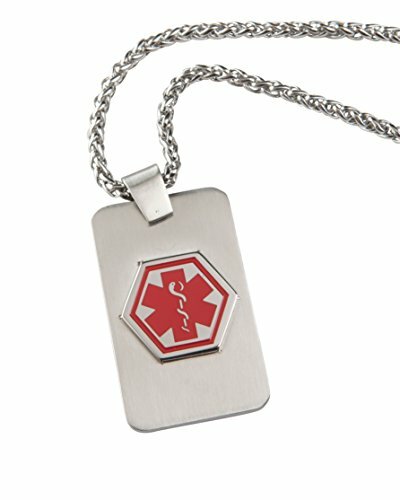 My Conditions® Medical ID necklaces feature the Caduceus symbol prominently displayed on the necklace tag. This symbol alerts emergency personnel of up to six (6) medical conditions. Includes 60 conditions pre-printed on durable labels and a FREE wallet card. Simply choose the condition(s) you want to add to the necklace tag. Peel each condition label from the card, carefully place each label in the recess area under a necklace tag. Fill out the FREE wallet card and place inside your wallet or purse. The My Conditions® necklace is 28" long. If you have any questions about this product by Sabona, contact us by completing and submitting the form below. If you are looking for a specif part number, please include it with your message.